Want to try something else? Looking for an original present or are you a real collector? Start your tastea lifestyle today together with your partner in tea, or keep the tea all to yourself! 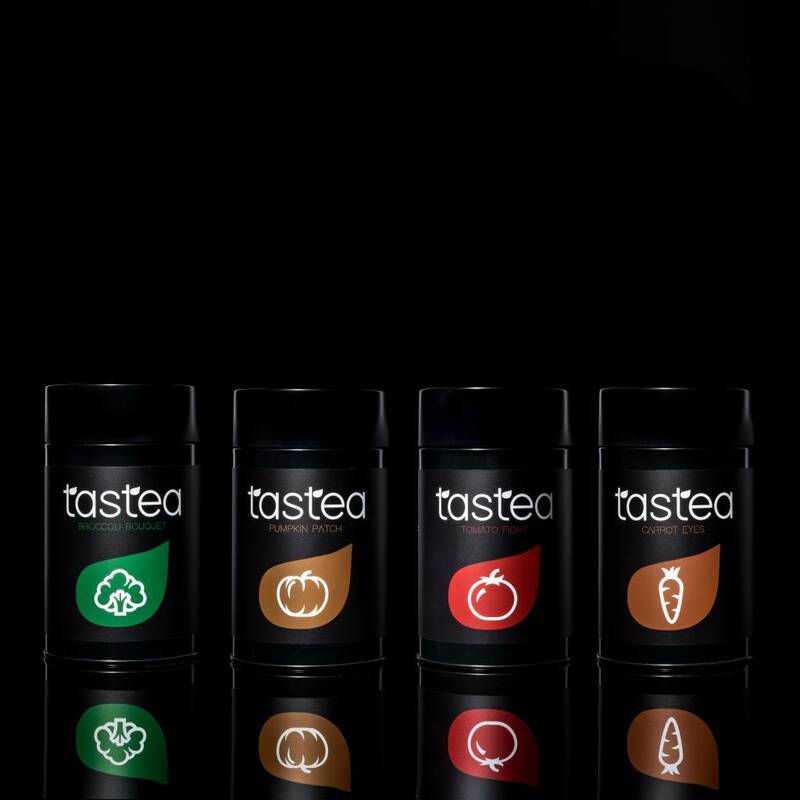 The Tastea vegetable tea’s consist of the most luxurious and unique 100% natural blends. To read about the experiences of satisfied customers, you can click on 'reviews' to see what they have to say. What’s in the vegetable tea package deal? Fancy a savory carrot soup.. with a hint of Indian? This tea is what you’re looking for. The spicy scent will make you desire even more. Click here for more information about Carrot Eyes. The flavors of Italy in your cup: ripe tomatoes, thyme, plantain, basilicum and sacred basilicum.The flavors of Italy in your cup: ripe tomatoes, thyme, plantain, basilicum and sacred basilicum. Click here for more information about Tomato Fight. This extraordinary green thee makes you think of grandma’s delicious vegetable soup. Broccoli, cabbage and carrot have been spiced up with olive leaves, parsley and nutmeg. Click here for more information about Broccoli Bouquet. Did you place an order on a business day (mo-fr) before 12.00 PM? In that case we aim to send your order the same day, so you’ll receive your tea asap. Generally our international parcels will arrive within 7 working days; 2-4 business days to Sweden, 2-3 business days to the UK, 4-7 business days to Norway and 4-5 business days to Finland. Please note that holidays and the weekend aren’t business days. Tastea doesn’t have any influence on the delivery company so we can’t be kept accountable for the exact date the package will arrive at your doormat. Warning May contains traces of nuts, sulphites, soya and lactose.